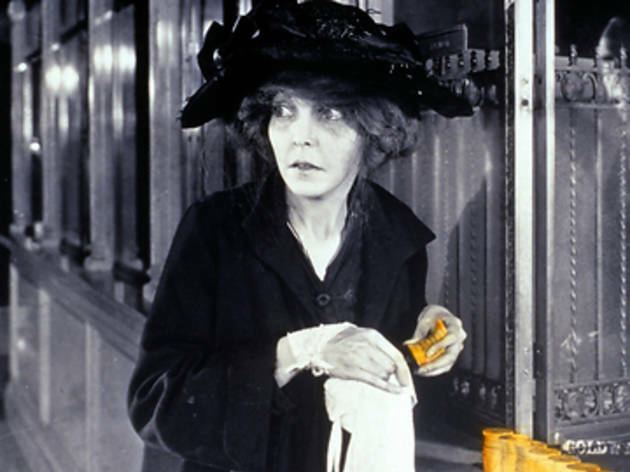 When housewife Trina McTeague (ZaSu Pitts) wins the lottery, her comfortable life with her dentist husband, John (Gibson Gowland), is slowly destroyed, in part by her own increasing paranoia and in part by the machinations of a villainous friend, Marcus (Jean Hersholt). Director Erich von Stroheim shot the film, based on the Frank Norris novel "McTeague", on location in and around San Francisco, an extravagance unheard of in the 1920s. His original version, since lost, ran for nearly 10 hours.